Telekom has introduced a new LTE router- Speedbox LTE IV to its product range. The Speedbox LTE IV is the successor of the Speedbox LTE III, which was offered since January 2015 and left a good impression on the users. 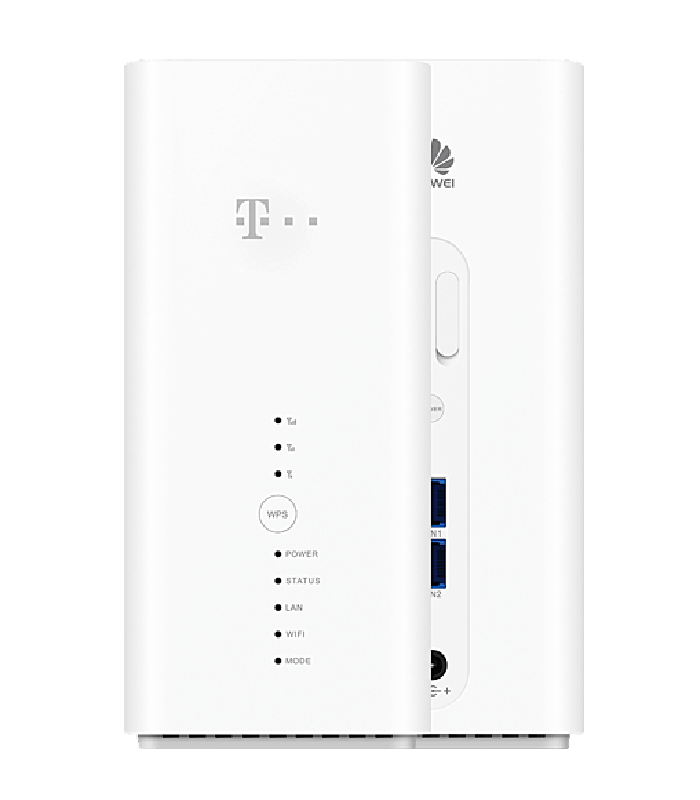 Compared to its predecessor, the Telekom Speedbox LTE IV offers twice as high speeds (LTE Cat11 with up to 600 MBit/s), as well as a sleek new design. Manufacturer of the device is the Chinese company Huawei, and the router is a slightly modified Huawei B618s-22d. The Telekom Speedbox LTE IV is visually certainly one of the most beautiful LTE routers that are currently available. The matt white cuboids also looks good on a dresser, unlike many other routers, the device does not need to hide. Various LEDs on the front indicate the operating status as well as the reception, a WPS button ensures fast WLAN connections without tedious password entry. The MicroSIM card is used on the underside of the Telekom Speedbox LTE IV; there is also a label with serial number and Wi-Fi password attached. The power supply, LAN cable and external antenna connectors are located on the back panel. In detail, we can find here 2x RJ45 Gigabit Ethernet and two TS-9 connections under a cover. But unlike the original Huawei B618s-22d router, there is no USB or an RJ11 telephone connection in the Speedbox LTE IV. And it doesn’t have built-in battery, which feature is available on another similar router Huawei B529s-23a. The Speedbox LTE IV must get external power supply and work. Others LAN port can also be used as WAN port. Operation via browser and via app possible. Even though the LTE modem of the Telekom Speedbox LTE IV theoretically reach up to 600 MBit/s fast: in practice, only a fraction is reached in the normal case. For the highest possible speeds, not only the LTE advanced pro mobile network must be equipped accordingly, the network utilization may only be very low, which is rarely the case in modern times. Of course, the reception must of course be as optimal as possible. Much more interesting than the question of how maximum fast the router will be is the question of how the speeds are in areas with poor reception and how the device beats in comparison with the competition. The transmission and reception performance is quite decent with the Telekom Speedbox LTE IV, but does not trigger any enthusiasm storms. If in doubt, you should connect with very poor reception an external antenna. The speeds were above average in the LTE network and in the UMTS network in comparison with a Netgear AirCard 810 hotspot , an Apple iPad Pro 9.7 and an AVM FRITZ! Box 6890 LTE. Tested in the LTE 800 and LTE 1800 network of Telekom and Vodafone, UMTS was used at 2100 MHz. The continuous use was easily possible in the test, the SpeedBox LTE IV ran smoothly for several days and was doing little more than lukewarm. What was noticed during the test, however: with heavier load (eg speed test) the power supply made noises, a kind of “coil whistling” was to be heard. 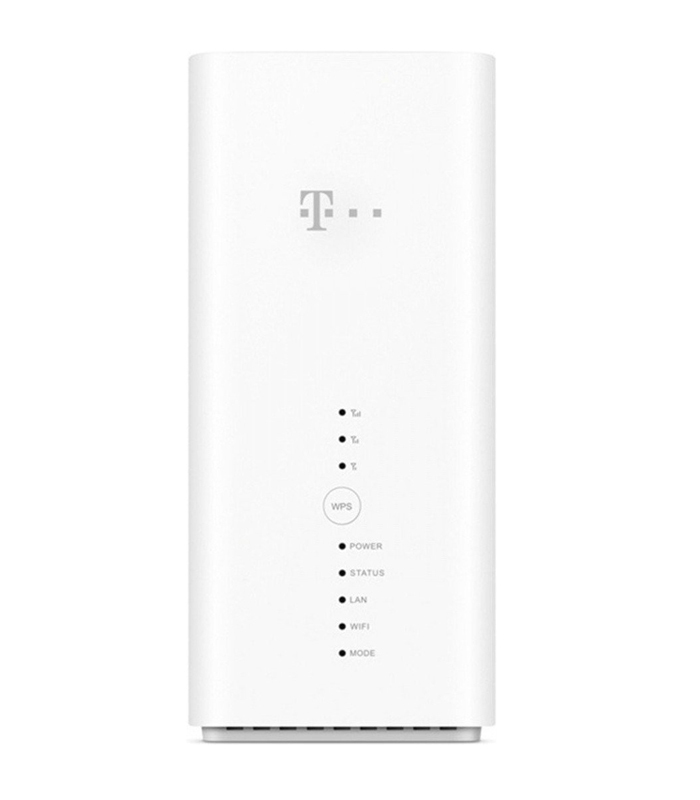 The WLAN of Telekom Speedbox LTE IV is strong enough to supply a large apartment or a small house. The range of course depends on various factors such as thickness and texture walls, but in comparison with common mobile WLAN/LTE hotspots, the range is good. The maximum speed is 867 MBit/s. The WLAN works on 2.4 GHz and 5 GHz (802.11b/g/n/ac), you can also switch off the frequency bands individually. The channel bandwidth can be set in the web interface, the highest speeds are obtained only with 80 MHz in the 5 GHz band. You can use the Wi-Fi bridge or Wi-Fi extender mode that allows you to use an existing Wi-Fi network as an Internet access. If a device is connected to the Telekom Speedbox LTE IV via LAN cable, a menu is displayed in the web interface with which the WLAN can be completely switched off. As already described, the Telekom Speedbox LTE IV offers two RJ45 Gigabit Ethernet interfaces on the back. These connections can be used, for example, to connect a desktop PC or game console with a LAN cable to the LTE router. If you need more than two LAN ports, you have to switch between a switch. In the test, the LAN connections worked smoothly, as expected. The Speedbox LTE IV has a nice feature that the “original” Huawei B618 taken: if necessary, one of the LAN ports can also be used as a WAN port, ie you can feed an existing Internet connection via LAN cable and thereby possibly save mobile data volume. It should be noted, however, that you no longer have access to the Web interface when using the WAN. Settings on the WLAN must therefore be carried out beforehand, before the WAN function is used. The web interface of the Telekom Speedbox LTE can be reached in the browser via the address 192.168.8.1. On initial startup, you are prompted to change the log in password to a custom one, eliminating unauthorized access and configuration changes. On the start page you get the most important information displayed clearly, including, for example, the amount of data consumed and the online time. Of course, the reception is also displayed, but you can also find it in any other menu at the top of a status bar. There are also tabs for “Statistics”, “SMS”, “Update” and “Settings”. Basically, the points are self-explanatory and quite clear, only in the settings, there are many sub-points, which are worth a close look. In the tab “Settings” you can specify, for example, whether the router should also go abroad (roaming) to the Internet and whether the network technology (2G, 3G, 4G) should be selected automatically or if you prefer to use only LTE, for example , The configuration of the WLAN interface can also be made here: up to 4 WLAN names (SSIDs), two each at 2.4 and 5 GHz, can be assigned, of course, each with an individual password. Some simple settings can also be made via the Huawei HiLink Smartphone App, which is available for Android and iOS in the respective App Store for download. If you just want to see the current data consumption quickly or want to read a text message, you will be fine with the app. For more detailed things, such as the choice of network technology, you still have to try the web interface, here comes the app to its limits. In the test, the Speedbox LTE IV made a good impression: the Internet connection was stable and reliable, the modem reached high speeds and the case design is a clear advanced to its predecessor. The software is fast and easy to use and the WLAN module was convincing with up to four SSIDs and high speeds. However, there are also some criticisms: on the one hand Telekom has deleted the telephone interface, which is the otherwise identical to original model Huawei B618s-22d available on 4gltemall.com. On the other hand, a WiFi Extender function is missing, with which one can use an existing WLAN as Internet entrance, as it is often already standard with many mobile LTE hotspots nowadays. The third point of criticism concerns the integrated LTE modem: it supports the advanced 4 × 4 MIMO antenna technology, but “only” 2CC CA, ie dual channel bundling. Overall, it should be noted: apart from a few technical details, the Telekom Speedbox LTE IV is a highly recommended and future-proof LTE router. For the price with contract, there is currently no information. Considering the functions deleted by Telekom, we suggest you buy original and unlocked Huawei B618s-22d to enjoy the full functions for the LTE advanced router. 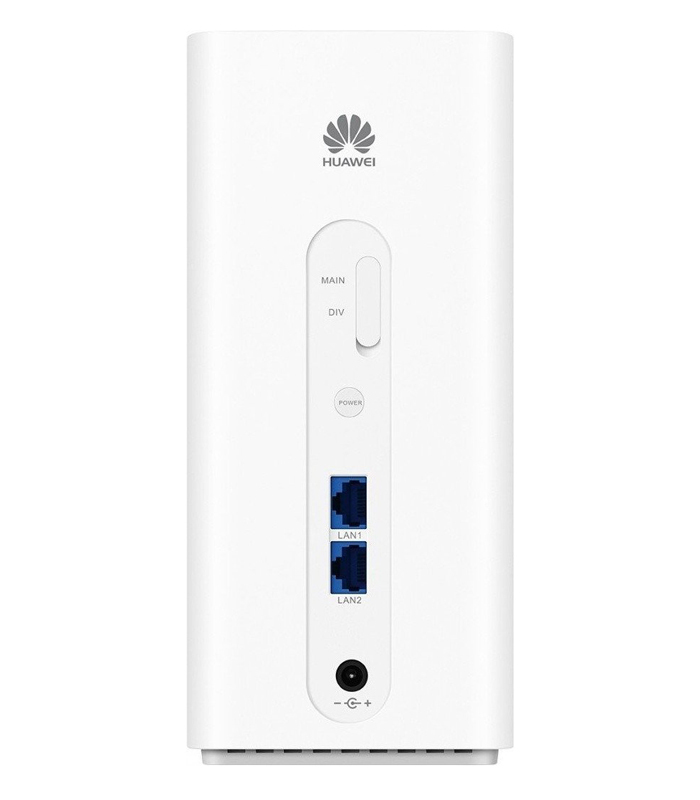 The Huawei B618s-22d unlocked router is now available http://www.4gltemall.com. You can get it without any contract and use it with almost all the network providers’ SIM cards in Europe.